Photo 117. Scharnhorst Torpedo Damage. Scharnhorst Torpedo Damage. This photo shows the damage inflicted to the battleship Scharnhorst by a 21-inch torpedo fired by the British destroyer Acasta on 8 June 1940. 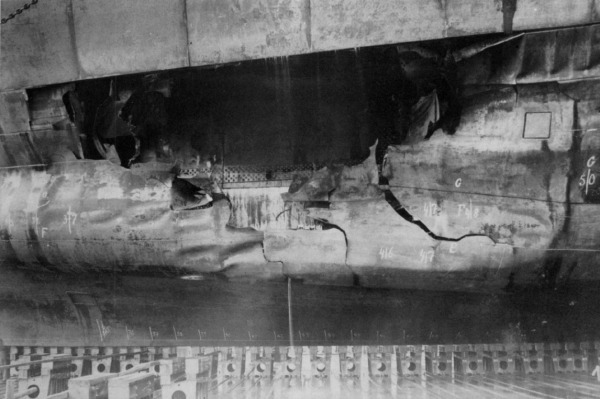 The explosion tore a hole of 14 x 6 meters in the hull, and 2,500 tons of seawater got into the ship. As a consequence of this hit the after 28cm turret was put out of action, and 48 men died.